The book is written for anyone who wants to design experiments, carry them out, and analyze the results. The authors provide a clear-cut, practical approach to designing experiments in any discipline and explain the general principles upon which such design is based. The reader then can apply these theories to any specific problem in his own work. No advanced mathematics is needed to utilize Design of Experiments – the necessary statistical concepts and briefly reviewed in the first two chapters. 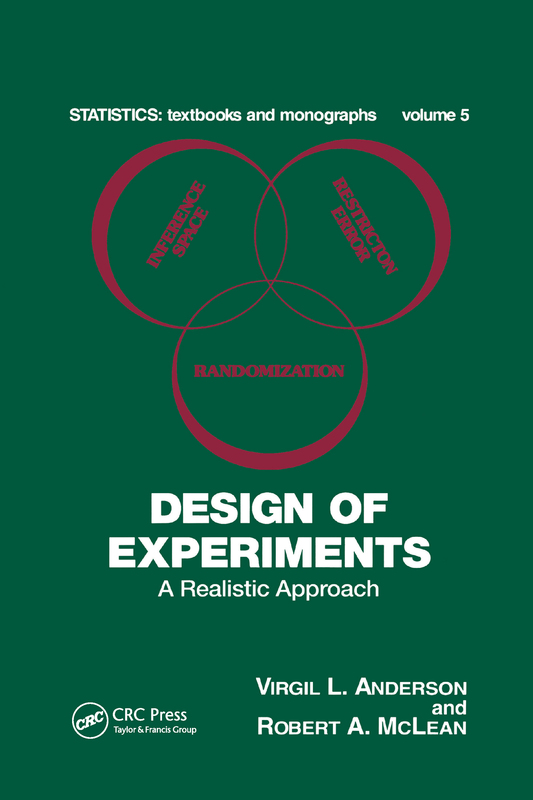 Subsequent chapters explain why and how the design of experiments in an intrinsic part of the scientific method, what problems will be encountered by the researcher in setting up his experiment and how to deal with them, and how to accurately analyze the result in terms of the sample taken and the method used. Each chapter includes problems encountered in specific fields so that the reader can test himself on his comprehension of the material. The diversity of the applications that these problems encompass also allows the reader to grasp the basic principles that unite the statistical approach to experiment design. Researchers and students in engineering, agriculture, pharmacy, veterinary science, chemistry, biology, the social; sciences, statistics, mathematics, or any other field that requires the design, solution, and analysis of problems will find this book absolutely indispensable.